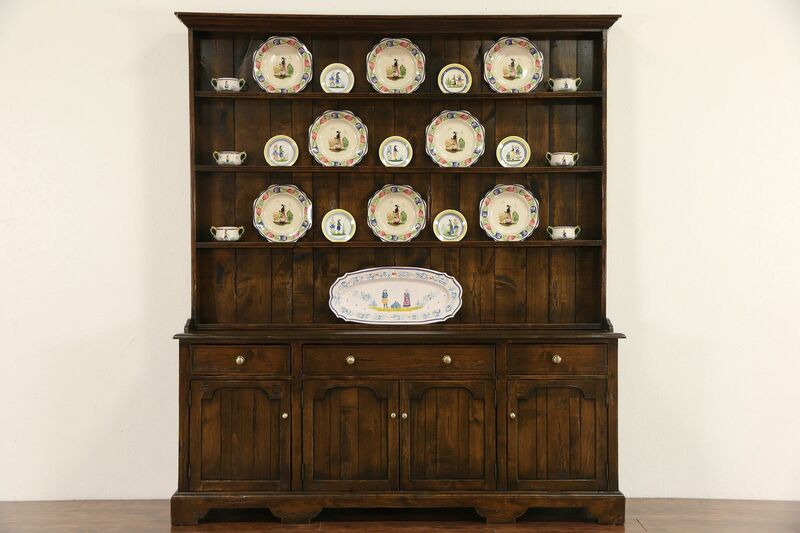 A traditional "Welsh Dresser" or pewter cupboard was crafted of solid maple about 30 years ago. The finish is in excellent condition with "distressing" to look like an antique from the 1700's. Hardware is solid brass. The upper section with shelves and plate display grooves is removable for easier shipment on this American made vintage furniture, no maker's signature remains. Size is 73 1/2" wide at the crown, 17" deep, 82" tall and the base cabinet is 30" high.